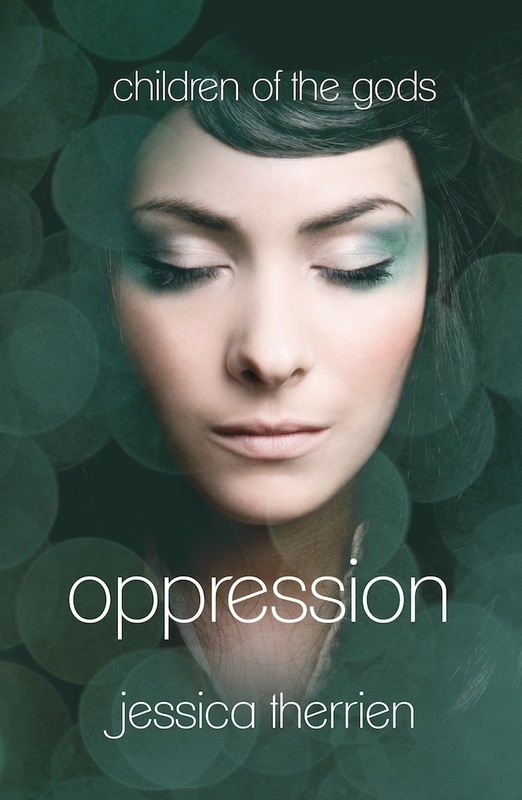 So, You're a Writer...: OPPRESSION Virtual Launch Party! Elyse knows what it means to keep a secret. She's been keeping secrets her whole life. Two, actually. First, that she ages five times slower than the average person, so that while she looks eighteen years old, she's closer to eighty. Second, that her blood has a mysterious power to heal. For Elyse, these things don't make her special. They make life dangerous. After the death of her parents, she's been careful to keep her secret as closely guarded as possible. Now, only one other person in the world knows about her age and ability. Elyse is not the only one keeping secrets. There are others like her all over the world, descendants of the very people the Greeks considered gods. She is one of them, and they have been waiting for her. Among so many of her kind, she should not be very remarkable--except for the prophecy. Some believe she will put an end to centuries of traditions, safeguarded by violence, which have oppressed her people for centuries. Others are determined to keep her from doing just that. But for Elyse, the game is just beginning--and she's not entirely willing to play by their rules. 1. 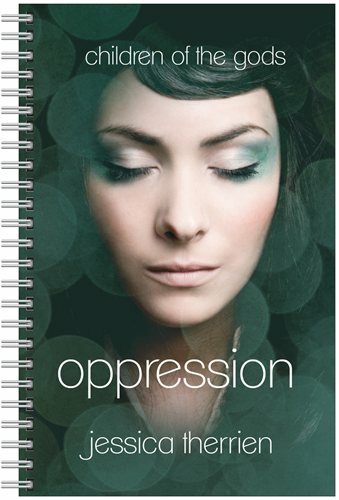 Tweet about the release of Oppression using the hashtag #Book1OPPRESSION. Example: Celebrate the release of Oppression (Children of the Gods #1) by @jessicatherrien #Book1OPPRESSION #YA Available NOW! 2. 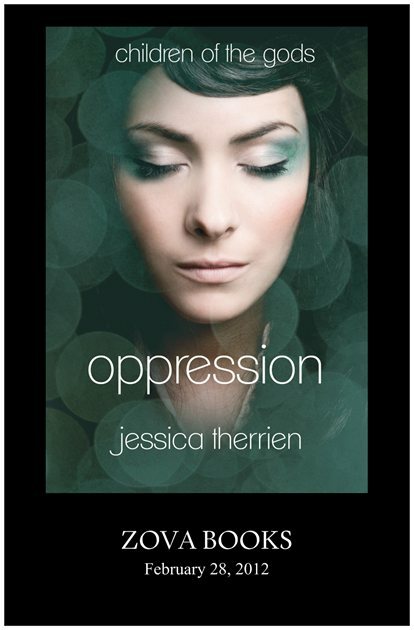 Facebook - tag @Jessica Therrien (Author) about the release of Oppression. 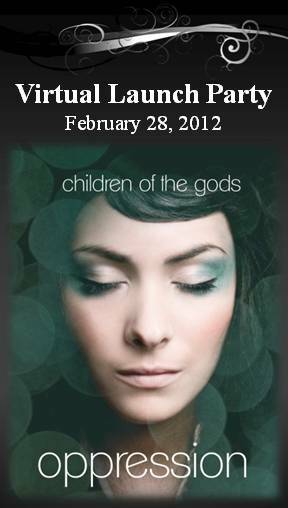 Example: Celebrate the launch of Oppression (Children of the Gods #1) by @jessicatherrien! The e-book is on sale now for NOOK & Kindle for only .99 cents! I don't know if I get more points for doing more, but I did 1 and 2, and I'm off to do 3! Congrats on the book launch! The book is beautiful, and it sounds terrific! Interesting. I find Greek mythology fascinating, myself. Sounds like a great read. I'll have to put it on my TBR list. Thanks, Carrie! SQUEEE is right! I'm so excited for this! The books sounds amazing and the cover is beautiful! Congrats Jessica! I normally respond to every comment, but this is Jessica's day. :) Thanks for stopping by, everyone! You guys rock! Squeee! I didn't realize I could get this for my Nook. I'd just put it on my Goodreads to read list. Now I've bought it! Congratulations, Jessica! Sounds like a great read! Wow, sounds like a great read:) And what a great way to support each other! Will Tweet about it now . . . Thanks Mark! I hope you like the book! Thanks Nancy! I hope you like it! Awesome!! YAY! Thanks so much. I twittered, but I'm also putting it on Pinterest. So excited for Jessica and can't wait to read my copy! Hooray for Jessica and her book! It looks great! The premise of Oppression sounds great! Love the cover too. Oooh, I like this premise. The world-building is going to be fantastic, I can just feel it! Thanks for commenting on EVERY post Jocelyn!! I hope you like it, Lynda! Thanks Emily :) I hope you like the book! i've always liked the cover and story concept.